Ambassador Marek Szczygieł has served in the Polish Ministry of Foreign Affairs since 1993. He worked as Desk Officer for South-Eastern Europe, Desk Officer for Nordic Countries, Desk Officer for Conflict Prevention, Head of OSCE Unit and Deputy Director of the Security Policy Department. 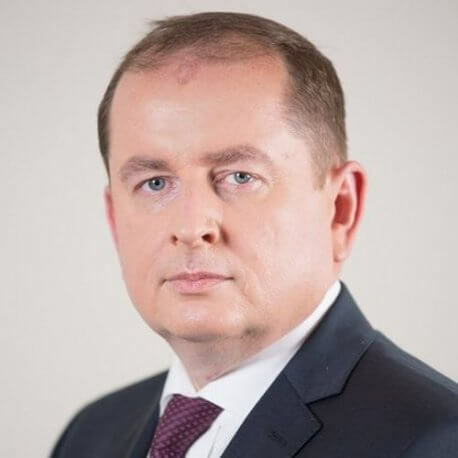 He was Second Secretary for Political Affairs at the Polish Embassy in Stockholm and Deputy Head of Polish Mission to OSCE and UN Office in Vienna. From 2011 to 2015, he was Ambassador Extraordinary and Plenipotentiary of the Republic of Poland to Romania. In 2015, he became the Ambassador-at-large in the Department for UN and Human Rights at the Polish MFA. Since December 2016, he has been Ambassador-at-large in the Security Policy Department. Ambassador Szczygieł has been appointed as Chair of the The Hague Code of Conduct against Ballistic Missile Proliferation (HCOC) for the period 2017-2018.